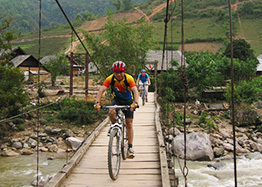 On this trip, the ride takes you along Muong Hoa valley and then deep into Ban Ho valley, which is home to Tay, Red Dao minorities. You will enjoy beautiful landscape, meet friendly local people and spend one night in red Dao family. Arrive Lao Cai station in the early morning, pick up and transfer to Sapa, having breakfast before starting the trip. 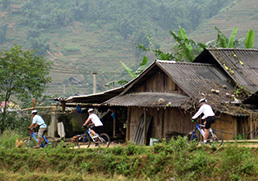 You cycle downhill on a windy road, which goes along Muong Hoa valley. 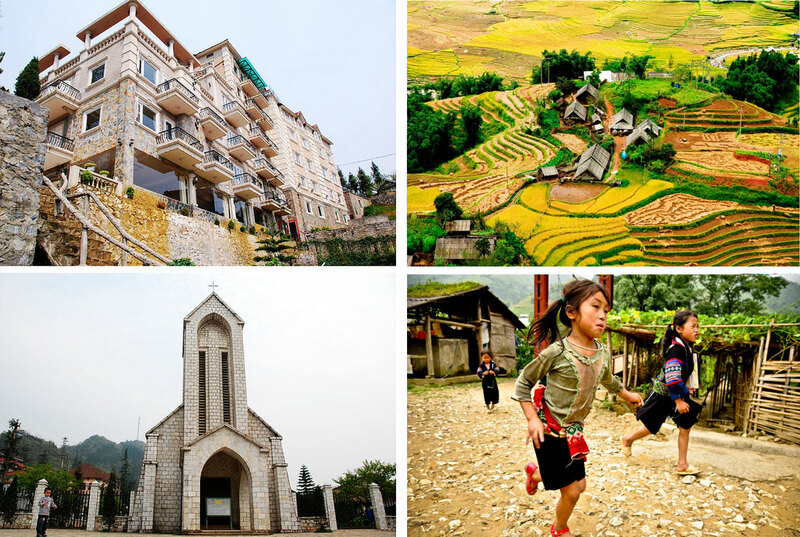 The valley is home to Black Hmong, Giay and Red Dao minorities. From the road you will have many opportunities to enjoy amazing scenery of mountains and rice paddy terraces as far as the eyes can see. 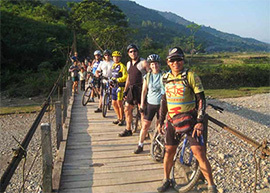 After a short break in Su Pan, you will cycle downhill until you reach Thanh Phu village of Tay minority. Here you stop for lunch in a traditional Tay house. After lunch, your ride will be mostly uphill; you head toward Sin Chai village of Red Dao minority. Where you will stay overnight in in a bamboo hut in the village. Approx: 6 hours cycling/ 1-hour lunch. Today’s ride will be a little softer. You will pass by some tinny villages. You can stop by a local school and give children some small gifts such as pens or books. 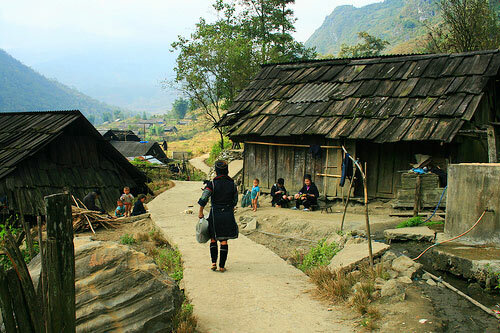 You will also be able to meet Xa Pho minority, one of the smallest ethnic group, which cannot be found in other areas. You will pass by Thanh Phu and continue to Ban Ho. Approx: 1.5-hour driving/ 1 hour walking/ 3 hours cycling/ 1 hour lunch.